Another great one: looks like you had a really productive day out! Thanks guys. 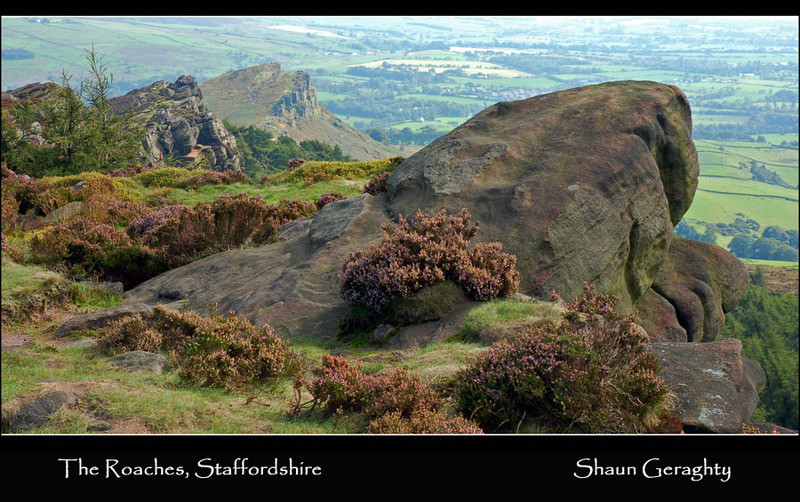 Yes the heather on the Staffordshire and Shropshire hills is beautiful this year. I like the composition a lot, Shaun. You chose a perfect angle behind those big rocks. Do you use any filters? I use a circular polarizer and sometimes a uv filter to cut down on haze? I have mixed emotions on how well they work on haze. Just wondering? Bill, funny you mention the haze filter. I too have many UV haze/skylight filters (different brands just to see if there was any difference between them). I find the skylight to have a very limited use due to its warm color cast. As for the UV/haze, I did not notice any reduction in haze between the Hoya, B&amp;W, BowerandPromaster. However, I did notice some improvement with theSigma EX MC. Actually, I ended up buying a Sigma 52mm as well as the 58mm to go with both adapters I have. I really like them! As for the polarizer, I find the linear pol to work just as good as the cir pol (sometimes even better). Never had focusing problems with the linear pol and I noticed they create a more uniform blue sky. Curmudgeon - on this shot I used a standard circular polariser. I have a set of 3 ND grads but havent yet mastered using them but will be trying them out when I go to Greece this week. I dont think I've really found a circ polariser helps much with haze. I have a UV filter which is supposed to help but on a day like the one when this shot was taken it was very hazy and I dont think I could have done much about it.